In the Academy Award winning documentary O.J. 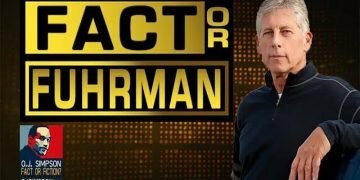 : Made In America, director Ezra Edelman did what so many in the media have done since 2000: Treat Mark Fuhrman with kid gloves. Ezra Edelman’s documentation and presentation of the history of the relationship between Los Angeles law enforcement and the African-American community is an absolute masterpiece, but … Continue reading Fact Or Fuhrman?